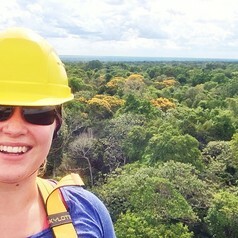 Gillian Galford is an earth systems scientist interested in deforestation and land-use change and its impacts on climate, carbon, and nitrogen. In Vermont, Dr. Galford has led the Vermont Climate Assessment to evaluate impacts of climate change in the state. Her expertise is in spatial analysis, applying tools of remote sensing and ecosystems modeling. She has worked on carbon and nitrogen dynamics in a range of settings, from the large-scale soybean farms of Mato Grosso, Brazil, to small-holder agricultural systems of the DRC, Malawi and East Africa. In addition to these research projects, Gillian teaches courses at the Gund Institute. Previously, she was a Postdoctoral Research Fellow at the Earth Institute of Columbia University and The Woods Hole Research Center.